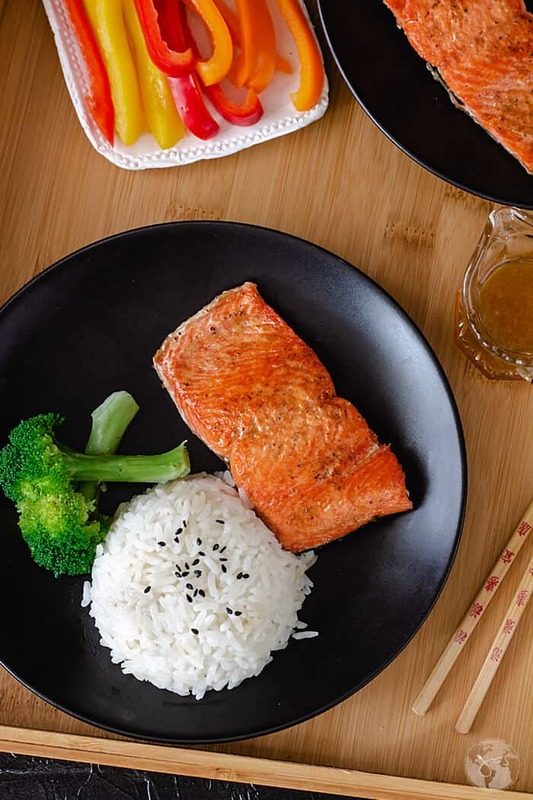 10 minutes is all you need to get this amazing Chinese salmon dinner on the table! 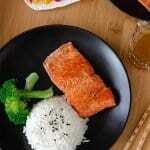 Rinse and pat dry salmon filets. Heat 2 tablespoons of vegetable oil in a nonstick skillet over medium-high heat. Add the salmon and fry for about 3 minutes on each side. Salmon is done when it easily flakes with a fork. Remove salmon from the pan. In a small bowl, whisk the rice vinegar, sugar, salt, sesame seed oil, and 1 tablespoon vegetable oil (or wok oil) together. Drizzle salmon filets with the marinade. Serve immediately. Replace sesame seed oil and 1 tablespoon vegetable oil with 2 tablespoons wok oil. This salmon is great over salad greens dressed with leftover marinade.